It is not at all surprising that when one spouse files for a divorce, the other sometimes continues to hold out hope for a reconciliation, believing that the marriage is not irretrievably broken. But what may surprise you is that Arizona law gives that person an opportunity to make one last stab at fixing the relationship. Arizona Revised Statutes, Section 25-329 provides that the Court shall not hold a trial, nor finalize a divorce, within sixty (60) days from the date that the divorce papers are served. Attorneys and judges often refer to this as a "cooling off" period, since it is intended to prevent people from angrily rushing into a divorce that they might later regret. This mandatory "cooling off" period allows the parties to take some time to reflect, to talk, and to consider other options, such as marital counseling. This sometimes leads to the parties getting back together and dropping the divorce action. Just today, in the news, was a report of basketball player Kobe Bryant and his wife putting their California divorce "on-hold" after having used the statutory "cooling off" period to work on their problems. 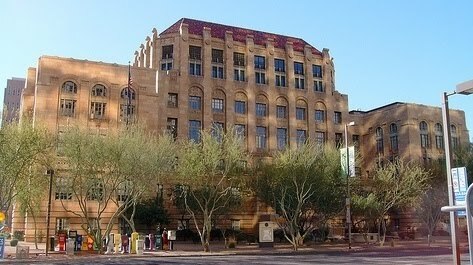 A spouse wishing to avoid a divorce has another alternative under Arizona law: A.R.S., Section 25-381.09, states that a person who wants to try to salvage his or her marriage may file "a petition invoking the jurisdiction of the Conciliation Court for the purpose of preserving the marriage by effecting a conciliation between the parties." Filing a motion under this statute will result in the case being transferred to the Conciliation Court. The divorce case will be placed on hold for a period of time, and the parties will be required to attend what amounts to a marital counseling session. Arizona is a no-fault divorce state. Thus, if one party to a marriage wishes to be divorced, there is little the other spouse can do to prevent it. However, the statutory "cooling off" period, and the ability to ask for a transfer of the case to the Conciliation Court for counseling, are ways in which a spouse can make one final effort to repair the relationship and put the marriage back together.